Once you sail through two bridges, the berth spots of Husums inland harbour in the middle of the city will appear in front of you. The city offers a unique combination of urban life, nature and typical North-Frisian traditions. 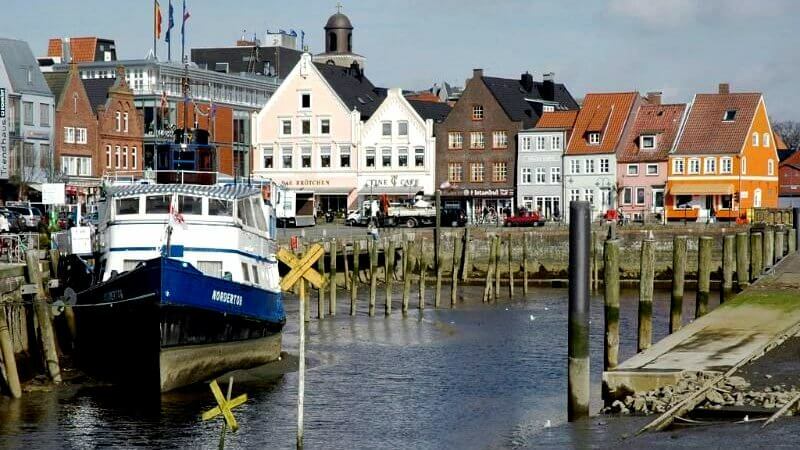 Stroll on the traces of the writer Theodor Storm and explore his birth town during a city tour or take a guided mudflat hiking tour – a UNESCO world heritage. Ride a bike along the dykes or relax during a delicious dinner in one of the harbour restaurants. 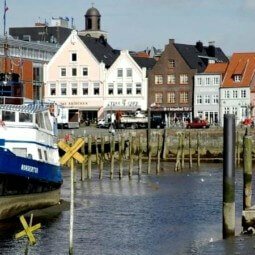 Before sailing to Husum, the harbour cautions you to check out water level forecasts as it is common to have high tides and floods here. You can book your berth spot easily in advance with the HarbaApp. Your concrete spot will be given to you when you arrive from the harbourmaster Rolf Jacobsen. He is also getting the harbour fee. The price is 1 EUR per meter boat per day.